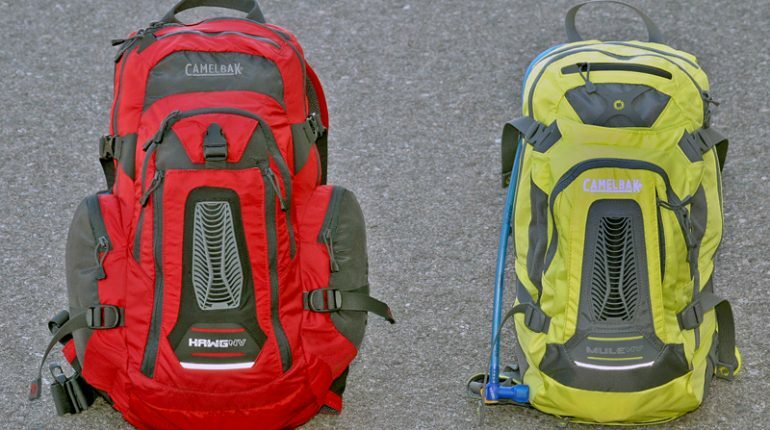 Camelbak HAWG vs. MULE: Which one is better for you? 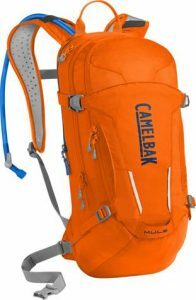 If you are looking for a backpack to use on your camping trip on the bike, Camelbak got some great products. Among them, HAWG and MULE are arguably the best items when it comes to mobile, self-sufficient journeys. But what is the different between HAWG vs. MULE anyway? Do they have any notable features that you should consider? The answers to these questions can be found right in this article. Check them out in order to make a wise and logical purchase. Generally, both the HAWG and MULE are designed to be used for backpacking on the bike through difficult terrains. As a result, they got a compact construction and thin profiles. They also have many things in common to fit more or less the same customer needs and requirement. However, there are still certain aspects that can really make one look more promising than the other. At the end, it’s all about your personal tastes and preferences. Compare them to the products before making the final decision. 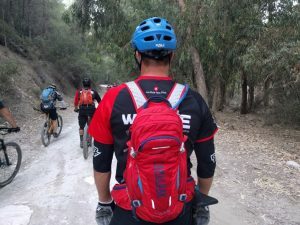 A typical feature that presents on both of Camelbak backpack is the water reservoir to let you stay hydrated on the move. Combine with the magnetic clips to swiftly set the water hose, the reservoir will supply you with water anytime and anywhere. You don’t need to remove the backpack or even have to stop the bike to consume the water. The feature is more than enough to replace your usual separated water canteen. 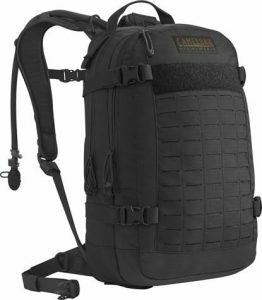 It’s also an advantage because not many backpacks with reservoir got magnetic clips. Since HAWG and MULE intended users are bike backpacker, there are a helmet hook and a multi-attachment for your tool. Store anything you like from the hand pump to spare tubes. Its container space is well divided so you can put in your phone, keys and even canned food. The best thing here is you won’t have to worry that all of the content will interfere or tangle with each other and create a giant mess. In case of sudden weather changes, a built-in rain cover can be deployed from the bottom pocket. You can have a check at our free bug out bag checklist for a better preparation for your trip. For compartments and pockets, these products got the same arrangement: three in interior and five on the exterior. This allows you to organize the inventory in whatever manner you see fit. The serrated sections will help you classify the item and locate them when a need arises. Everything will be secure to you back through removable belt and harness that are tight yet comfortable. Heavier and larger than the MULE, HAWG is best used for a full day backpacking. Its size is more appropriate and convenient to be stored with 1 day worth of supplies. It’s more versatile due to its size and generous capacity. However, this backpack is not effective if you intend to use it for multiple day trips. Even with an ultralight load, you can only keep supplies for 1.5 to 2 days at the maximum. You can always plan the trip so it goes through locations where you can get additional supplies though. Perform admirably when fully loaded, you will appreciate how easy you can move around with the bag on. It will finish any task that it’s built for efficiently and effectively. The strap may take a good amount of time before it’s finally got used to your body. If you want a medium backpack, you cannot go wrong with this one. At an ultralight load, the MULE can be comfortably stored with supplies for 1 day. But with an average load, the MULE would be better used for half a day trips with many activities. Its size is small and along with limited space, it can be hardly stored with too much stuff. Coats or jacket will definitely not fit in this backpack well. This means any outerwear is not an option since the MULE can’t carry them. Compare to a usual backpack, you may feel a bit surprised to see how small the MULE is. In the latest version, the MULE uses the new Crux reservoir which allows the refilling to be faster and easier. It pumps up a lot of water to your mouth with every sip as well. The air channels that face against your back will keep the place well ventilated and let your skin stay cool. Its stability is also improved for tightness on bumpy roads. In the respect of size and load, the HAWG seems to be the better choice than the MULE. It did come with a more expensive price tag though. At 179.50, a new HAWG will cost you 69.5$ more than a MULE which is at 110$. There is a lifetime warranty for both of the HAWG and the MULE so there shouldn’t be any risk buying any them if you want to.